Great article from NAEYC by Lisa Guernsey entitled How True Are Our Assumptions about Screen Time? Views on children’s media consumption are so polarized it’s mind boggling. I rant regularly about die-hard luddite librarian-types who think children should never look at a screen EVER, and that even book-based apps have no place in a library; and then I read something like this which respectfully recounts the straight-up stupid assumptions and decisions some parents make about the media they expose their children to. I realize there are huge socioeconomic and educational factors that can account for these differences, and that it is part of my job as a librarian and digital literacy advocate to provide information and resources to both ends of the spectrum. But come ON. CSI?! My big take-away from this article is the aforementioned cleverly alliterated “Content, Context and individual Child.” What matters is how the screen is used; that the content is age-appropriate, there is context enough for the child to learn something from the content, and that the child’s interests and abilities are respected. Below are some excerpts that I felt were particularly relevant to interactive media (much of the article focused on television). Assumption 3: All media for children under age 2 is damaging. What the research shows: If parents use media with children under 2, they should make sure that screen time leads to social interactions with their babies and toddlers, instead of replacing those interactions. Parents should avoid exposing their very young children to adult-directed programming. But the fact is that many children under 2 do use screen media, so some researchers point to the value of paying attention to how those families select and use that media. Researchers are coming to agree: How parents approach media matters. For example, Alan Mendelsohn, a pediatrician and researcher at New York University, has shown that negative impacts typically associated with television watching can be lessened when parents talk to their babies about what they are seeing on screen (Mendelsohn 2010). Assumption 5: E-books are distracting to young children. What the research shows: It’s all about how they are used. It’s true that many e-books for children come with so many bells and whistles that children merely click around on the screen without paying much attention to the storyline. It’s also true that some research has uncovered parents’ tendencies to focus on the technology (telling their kids when and where to click) and not the story when reading an e-book with their children. This is leading children to recall very little about what was read. In a small study conducted at Temple University, for example, “behavioral directives went through the roof” while reading comprehension sunk (Parish-Morris, Collins, & Hirsh-Pasek 2006). But after reading these studies carefully, it becomes clear that at least two factors are at play: the design of the e-books and the behavior of the parents. Tackle these issues, and electronic books could be no different or better than printed books. Some e-book companies, for example, are designing picture e-books to favor highlighted text and engaging storylines over distracting playthings. As e-books become less of a novelty, parents may also become less inclined to order their children around on how to use them. A more positive approach to e-books, however, will require parents and educators to stress the importance of content, context, and the individual child (the Three C’s) in choosing media for our children. Note: Technology changes quickly. Use the research-based NAEYC/Fred Rogers Center position statement on “Technology and Interactive Media in Early Childhood Programs Serving Children from Birth through Age 8” for guidance on when and how to use technology with young children in ways that will help, not harm. www.naeyc.org/content/technology-and-young-children. Posted on October 8, 2012, in Research and tagged NAEYC. Bookmark the permalink. 1 Comment. Amazing, isn’t it, how much we need to teach people (parents) about media use. 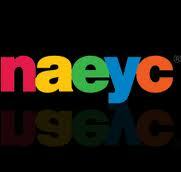 NAEYC has loads of good info for us as librarians; I’ve been reading their articles and website for years. The Smart Librarian will use these findings, apply them to her (his) work, and share with parents and kids. Thanks for the article link — will add to my iBook shelf!